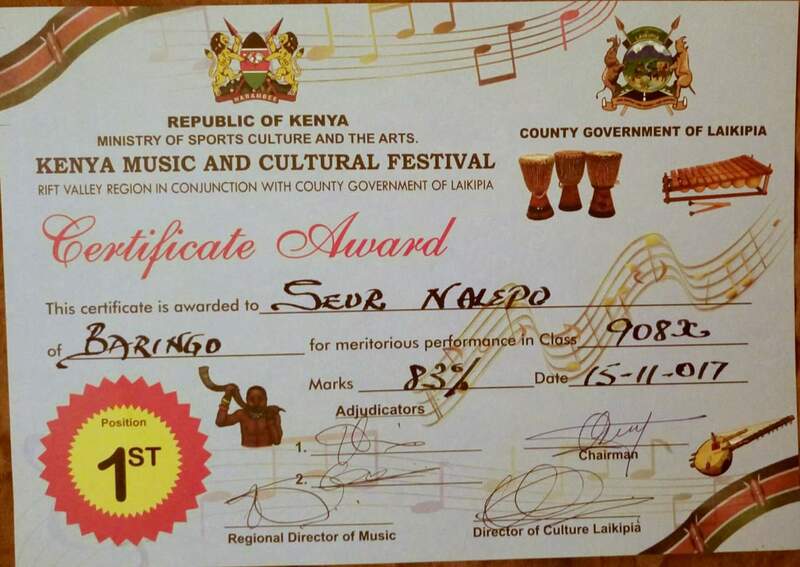 After a weeklong competitive Regional music and cultural festivals held in Nanyuki Laikipia County, Baringo County Cultural groups emerged winners in the classes that they were performing. The County had been represented by 11 groups and several solo artists and they managed to secure the runners up position after failing to beat Uasin Gishu who for the third consecutive time became champions. Among the teams that are set to proceed for the national festivals to be held in Kakamega County early next month are; Jua Kali dancers (805), Loropil dancers (908z and 708z), Culture Promoters (703x and 1014), Seur Nalepo women dancers (908x and 708x), County Choir (103, 620 and 621) Walter Kesses (802) and Harrison Okiri (103). Kazibora dancers (903y), County Choir (107 and 427) and Bogoria cultural dancers (703y) took second position in their classes. These exemplary performances were achieved courtesy of Governor Stanley Kiptis who offered immense support to the teams.